German media reports infamous neo-Nazi, Holocaust denier, and terrorist asked Hungarian Prime Minister for political asylum. 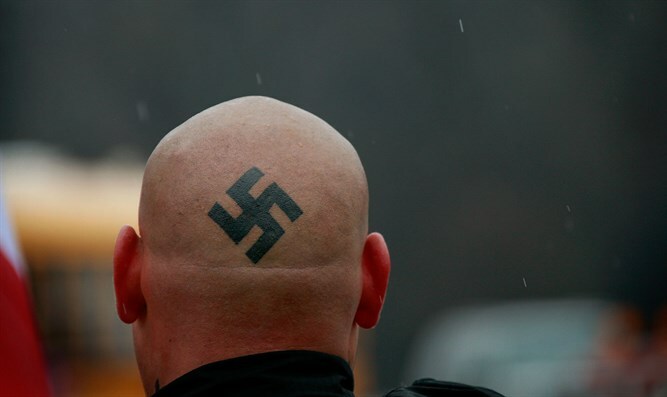 Horst Mahlerm the German neo-Nazi who was arrested in Hungary after fleeing his jail sentence, was arrested after he sought asylum in Hungary, German media reported. Mahler, 81, reportedly asked Hungarian Prime Minister Viktor Orban for political asylum in a letter he published May 12 on the Internet. It was widely circulated in German media as well. Referring to Orban as the “Fuhrer” of the Hungarian Nation, Mahler said he “placed his fate in the hands of his government.” Instead of accepting him, the Hungarian government is likely to honor Germany’s request for extradition. In April, Mahler had been ordered to return to the Brandenburg/Havel correctional facility on May 19 to begin serving the final stretch of a 10-year sentence handed down in 2009. He had been released temporarily for health reasons, and reportedly had part of a leg amputated due to an infection. But despite these health problems he allegedly continued to give talks to neo-Nazi audiences, as recently as last month. According to Die Zeit newspaper, in January he spoke to right-wing extremist audiences on such topics as “Jewry is the real enemy” and the so-called plan by Jews to destroy the German people. His arrest in the Hungarian city of Sopron while trying to cross into Austria was confirmed by the attorney general of Munich district II. In a video that Mahler published on the Internet on April 9, he said he was a victim of political persecution and announced his intention to seek asylum. The one-time founder of the far-left Red Army Faction terror group famously underwent a transformation in the 1990s to the extreme right. He served as a lawyer for the right-extremist National Democratic Party of Germany until he left the party in 2003. In November 2007, he was sentenced to six months in jail for raising his arm in the illegal “Hitler salute” to greet his jailers while serving a previous sentence.